EMS means ‘English Market Selection’, a description used in Cuba for over a century to identify the quality of cigars designated for the UK Market. 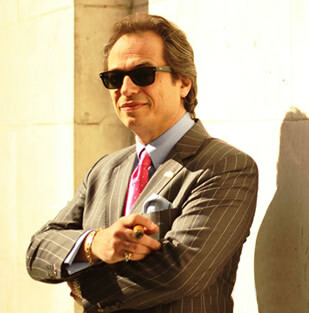 It is the cornerstone of the UK’s long established reputation as a world center for the finest Havanas. 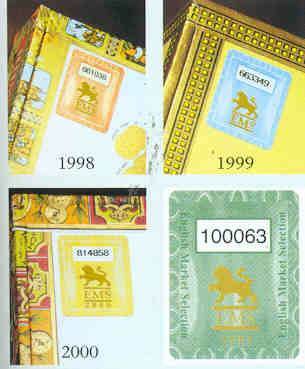 All packs of Havanas, which are officially selected for sale in the UK domestic market, now bear an EMS stamp. THE EMS GUARANTEEEvery box has come directly from Habanos SA in Cuba through its appointed UK importer. The Cuban Factories have only one contract for the distribution of Havanas worldwide and that is with Habanos SA. Habanos SA has only one contract with an importer in the UK and that is with Hunters & Frankau. You can be 100% sure that all EMS Havanas are genuine. Every box has been shipped and stored by experts Havanas must be looked after carefully. At every stage of their journey, EMS Havanas are supervised and stored by experts, who have a long-term interest in the cigar trade. Every box has passed a UK quality check. Hunters & Frankau, as part of its quality control system for Havanas, opens and checks every box. The system rejects cigars that are not suitable to bear the EMS stamp. These points are important for all businesses that retail cigars. Customs Officers and Trading Standards Officers have powers to investigate if they suspect cigars are not duty-paid or do not carry the correct Health Warnings. EMS gives you peace of mind.